have you as a Welcome Table partner. wonderful year it has been! year. We are truly blessed. 1. 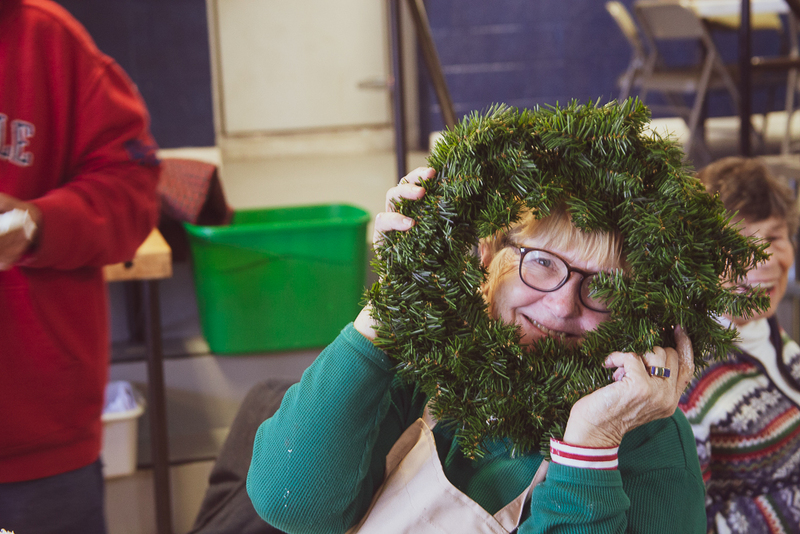 Remember Haywood Street merchandise makes great holiday gifts and supports our core ministries! 2. 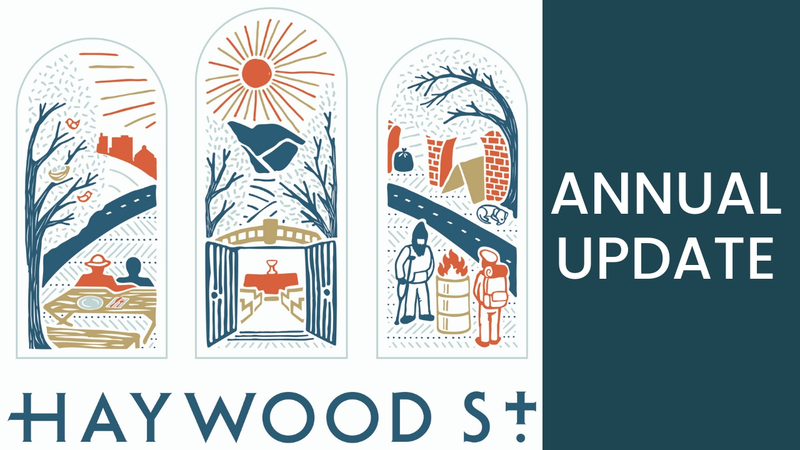 For those interested in the Haywood Street Fresco, click here to access the most recent press release in full! Biggest needs: warm winter coats, socks base layers, boots for both men and women, blankets. Click here to prepare a meal for Respite! Code Purple Information: The purpose of the CODE PURPLE procedure is to provide a coordinated effort among Asheville and Buncombe County, North Carolina shelters and other organizations to provide emergency overflow shelter to people experiencing homelessness in the event of severe weather conditions. If you are interested in being apart of the “Code Purple” response team on Sunday mornings this winter please contact hannah@haywoodstreet.org. 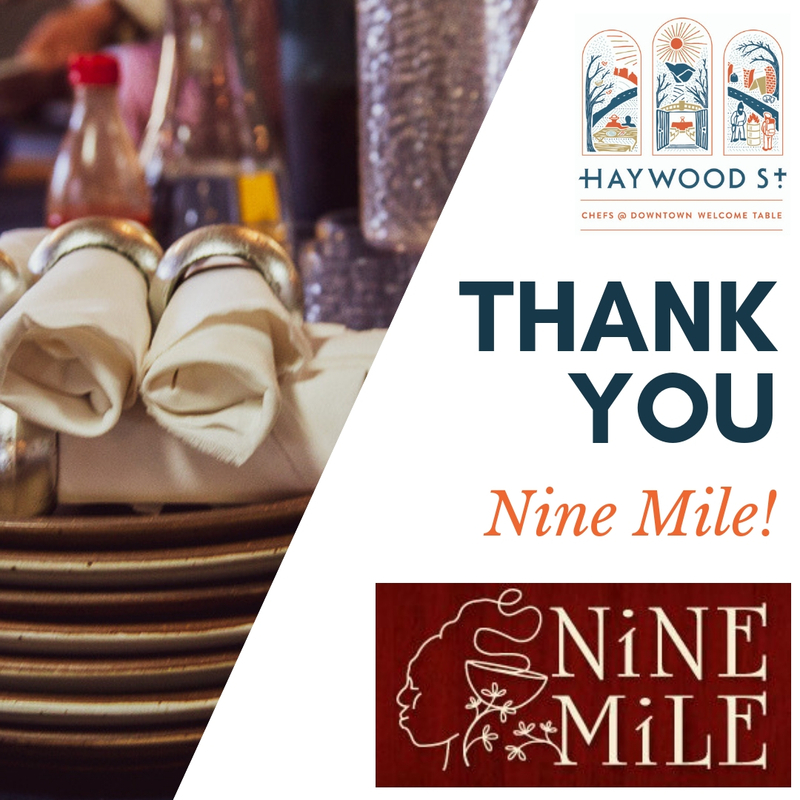 It’s hard to believe, but next November will be Haywood Street’s 10th birthday! We believe in celebrating a good thing early and often, so once a month, from this November to next, we’ll be highlighting someone who’s been here since the beginning. 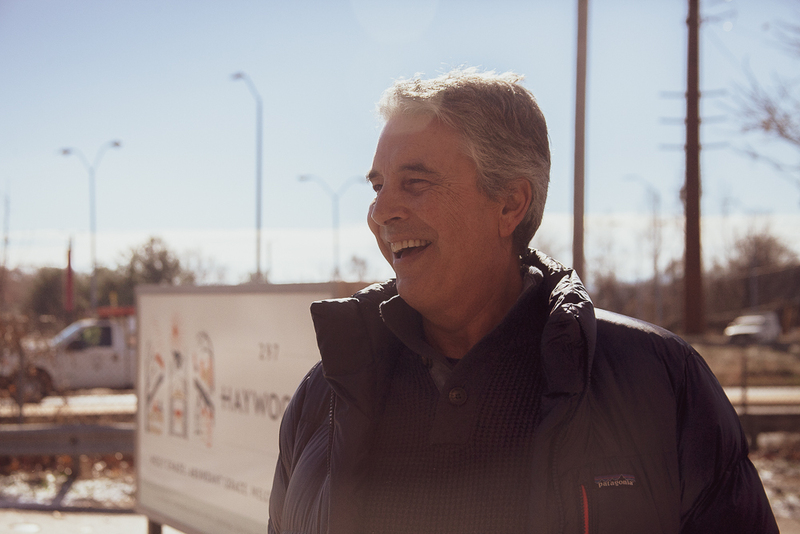 Steve is an integral part of our congregation, an active board member and a great friend to many. Enjoy his reflections! 1. 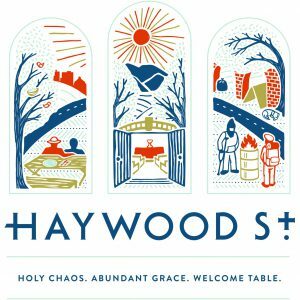 Can you share a memory from Haywood Street’s very first year? Why do you think this memory has stayed with you? I remember near the end of that first year meeting Dave Holland for the first time..I believe that he was living outside at the time and we had no idea that he would be our Chef and such an integral part of Haywood St. at that time. Dave somehow found out that I was involved in evaluating Brian’s work performance. He introduced himself and told me of observing Brian on some cold mornings outside AHope. He described the scene of many homeless folks standing around waiting to get in to a warm room. He described one group, said everyone just called the “Crackheads”. 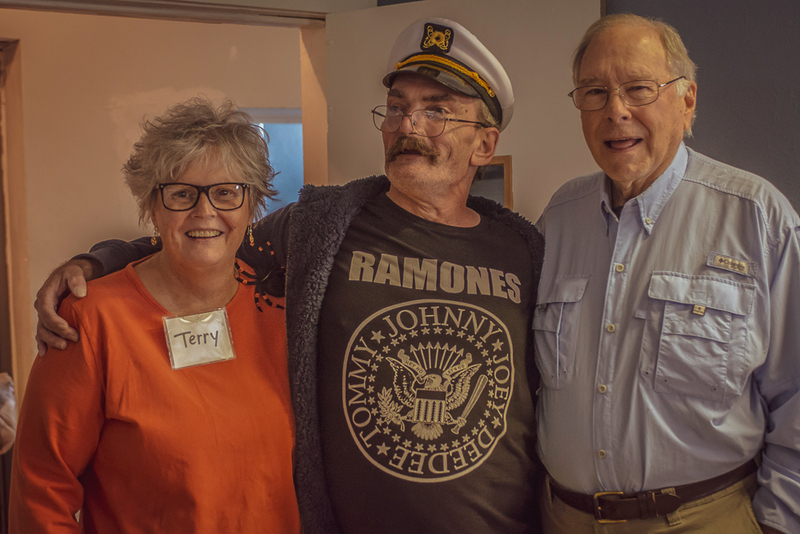 He said they all had vacant looks in their eyes and were sort of ostracized even by other folks on the street…and then Brian Combs walked up and greeted them by their names, and light came into their eyes. I remember it vividly because I was so moved by it and because that was the moment I realized that Haywood Street was going to be special! 2. What is one of the best changes you’ve seen over the years? There have been many changes over 10 years. It’s hard to zero in on one, but the improvements that we have made to our 100 year old building that have made every square inch usable for important purposes would rank up there for me. 3. What keeps you coming back to the home of Holy Chaos? I keep coming back because, like most others who participate in any way at Haywood St, when I am there I feel like I am being true to a calling, and because I have many friends there that I want to be with. 4. What is the Haywood Street you envision five years from now? Picturing Haywood Street Congregation in 5 years is exciting! I picture unique worship, great community meals, lush gardens, Respite services, art destination, peers helping each other, and lots of interesting people interacting who would not otherwise ever have crossed paths.